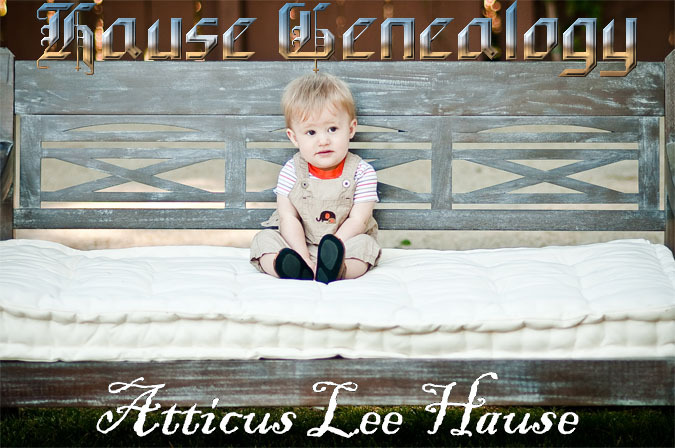 NOTES: Atticus was named after the character of Atticus Finch in To Kill a Mockingbird; His middle name belongs not to the author of that novel, Harper Lee, but to his maternal grandfather, Terry Lee Dotson. 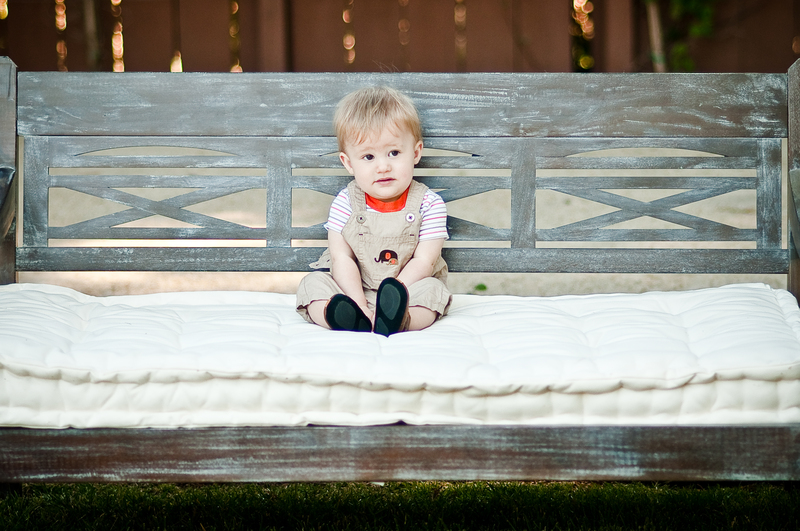 Blessed with his mother's great looks and his father's great... well, fortunately, his mother's great intellect, too, Atticus came into the world just 35 weeks into the pregnancy, by emergency C-section at 9:08am on 2 Aug 2011. 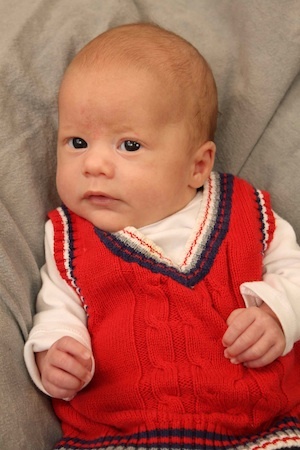 This means that he has a four-week head start on everybody else, to kick the world's behind. 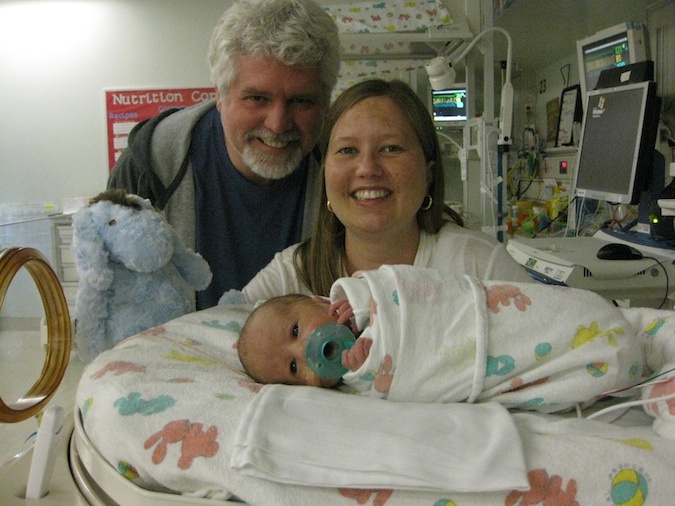 Father, mother and son, August, 2011. 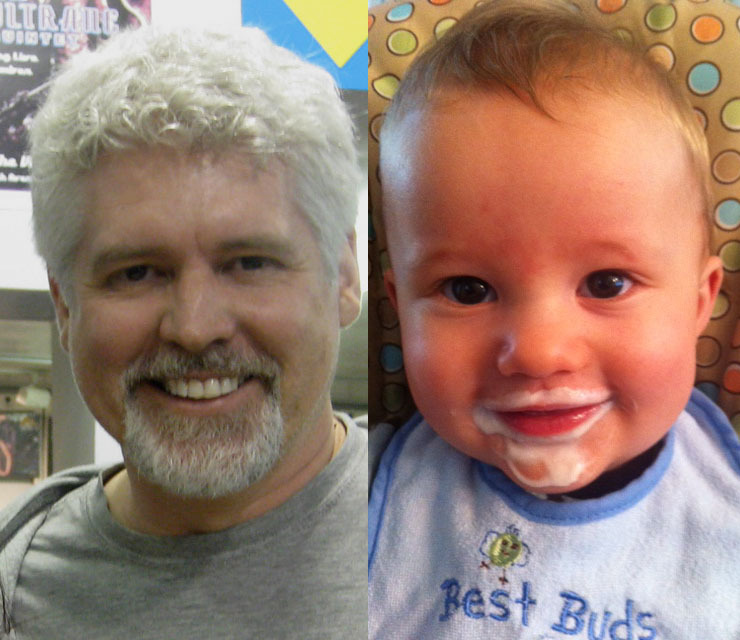 Father and son sporting beards, 4/13/2012. 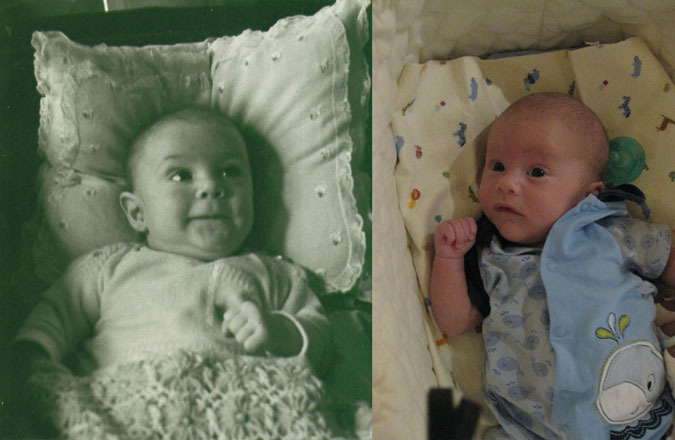 Carleton Marchant Hause, Jr., in 1939 and his grandson, Atticus Lee Hause, in 2011. 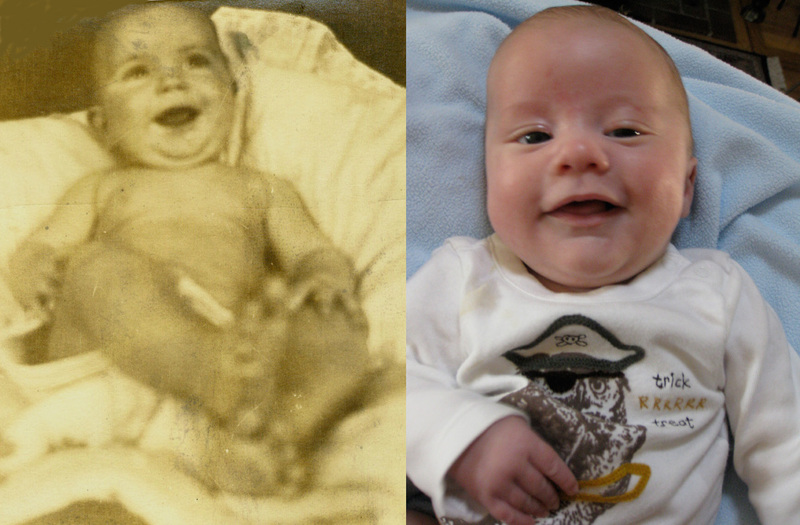 Carleton Marchant Hause, Sr., in 1917 and his great-grandson, Atticus Lee Hause, in 2011. 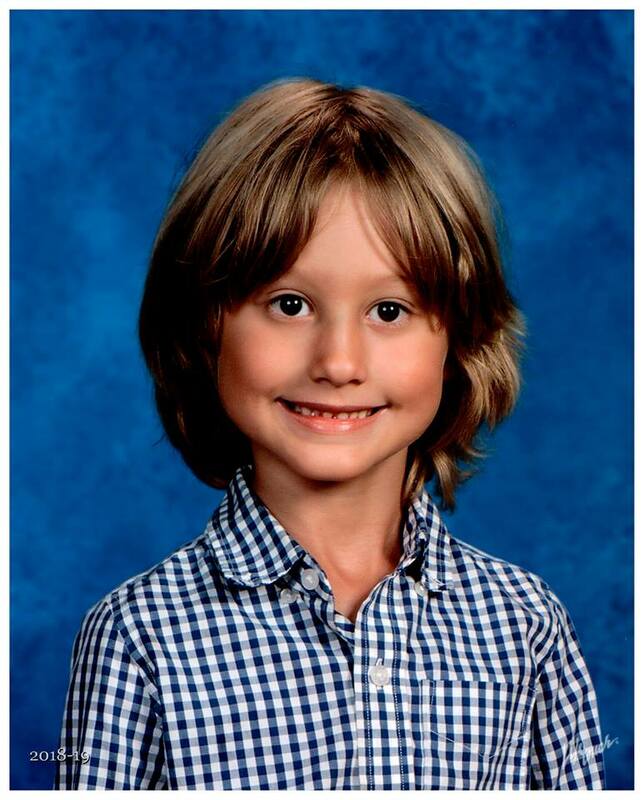 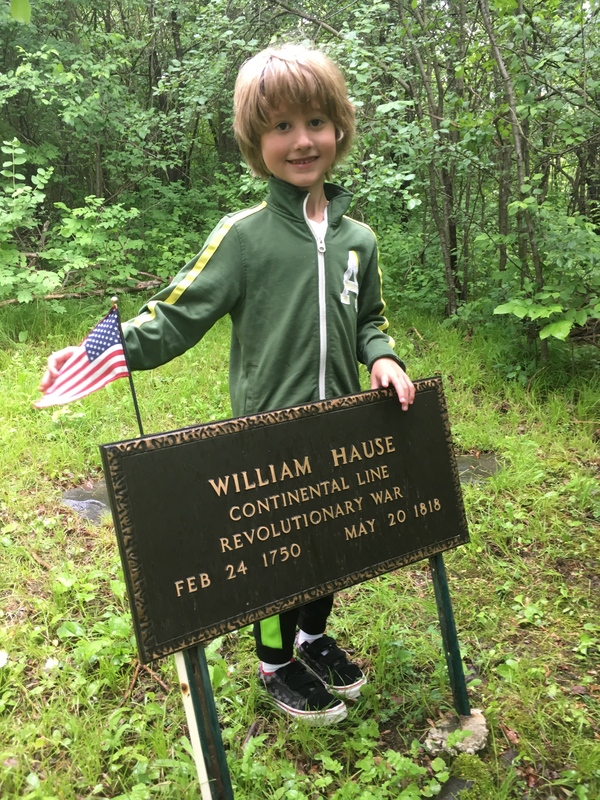 10-Generation photo of Atticus Lee Hause with William Hause, on 16 Jun 2018, just over 200 years after William's death.